Warblers show more color and variety than any other family of birds in the Washington area. Some of them stop to breed here, but a greater number pass through on their way to nesting grounds to our north. 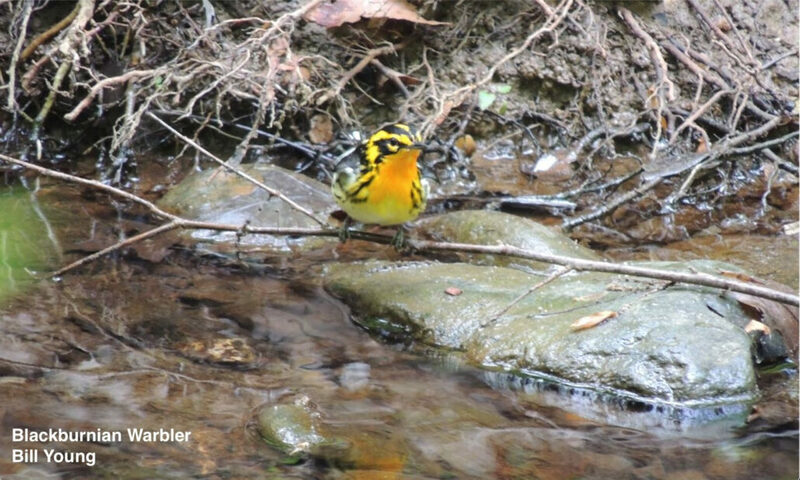 Bill Young will show you how to identify the 35 warbler species that you have a chance to see, focusing on appearance, vocalizations, behavior, and other factors. Register here. Instructor: Bill Young is a local writer and co-creator of the MPNature website, which is designed to teach people about the nature at Monticello Park. His book The Fascination of Birds: From the Albatross to the Yellowthroat explores the connections between birds and a broad range of subjects, such as biology, ecology, literature, music, history, politics, economics, religion, geography, physics, chemistry, linguistics, the visual arts, the performing arts, sports, and comedy. Bill’s YouTube channel, which features his natural history videos, has more than 500 subscribers and more than 320,000 views.